The U.S. Department of Energy’s (DOE) Office of Fossil Energy (FE) has issued a Request for Information (RFI) for input on the development of improvements in steam-based power cycles applicable to coal-fuelled boilers. The objective of this RFI is to support DOE’s mission to lead research and technology development that promotes better steam turbine performance through advanced design and manufacturing techniques. Advanced manufacturing for improved maintenance, repair and overhaul of steam turbines. 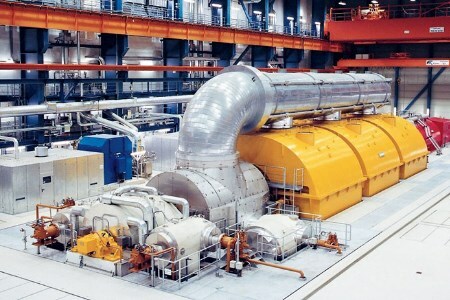 Steam turbine development for advanced ultra-supercritical conditions. Steam cycle augmentation in coal-fuelled boilers for load following and energy storage. Responses to this RFI are due no later than 8 PM ET, Monday 4 June 2018. Responses are to be submitted electronically in Adobe Acrobat PDF to the National Energy Technology Laboratory (NETL) at: DE-FOA-0001921@netl.doe.gov. Emails should have the subject line “RFI Performance Improvements for Steam Based Power Cycles for Coal Boilers” with the technical area number. RFI responses may be used to assist in establishing content for the preparation of future solicitations or competitions. A response to this RFI will not be viewed as a binding commitment to develop or pursue the technologies, project, or ideas discussed. DOE may also decide to issue an announcement based on consideration of the input received from this RFI or to not issue an announcement at all.